When comparing research papers that analyze how organizations learn from disasters, a pattern gets obvious: scientists did research on organizations that were only affected by famous and extreme disasters such as the Space Shuttle Challenger explosion in 1986 (Vaughan, 2004), the Mount Everest climbing accident in 1996 (Kayes, 2004), US coal mining accidents (Madsen, 2009) or natural catastrophes like earthquakes (Corbacioglu and Kapucu, 2006). But how did they assess that only such famous incidents can be considered as disasters? For example, Kayes states that the Mount Everest accident fits Perrow’s definition because a disaster results in a breakdown of specific units of an organization and in addition, the incident fulfills March’s three criteria for a critical event worthy to research (Kayes, 2004). In this sense, a critical event changes not only the world’s historical development, it also influences the people’s belief and has metaphorical power (March et al., 2003). In a similar fashion Madsen narrowly defines the Coal Mining accidents as disasters and refers to ‘reportable accidents’ set up by the Mine Safety and Health Administration. (Madsen, 2009). Whereas in other research papers (Vaughan, 2004; Corbacioglu and Kapucu, 2006) the scientists omitted the explanation part and started from the premise that the Space Shuttle Challenger explosion or the earthquakes in Turkey simply can be seen as disasters without questioning why. It seems that they draw their disaster definition upon a commonly-shared narrow perspective. But is it possible to denominate a specific incident ‘disaster’ only by the means of clearly defined criteria or a presupposition of a commonly accepted understanding? The etymology of the word ‘disaster’ origins from an astrological sense, meaning that a calamity blamed on an unfavorable position of a planet (Etymonline.com, 2018). The WHO describes a disaster as an incident that disrupts the normal conditions of existence, resulting in suffer that goes beyond the affected community’s possibility of adjustment (Adaba, 2002). But who can decide whether a situation is a ‘calamity’ or ‘beyond the capacity of adjustment’? The current scientific literature on ‘learning from disasters’ forgets one important aspect: it is ‘the affected community’, who unintentionally or intentionally decides. Goffman’s ‘Framing’ perspective, resumed on Gregory Bateson, helps us to see the definition of a ‘disaster’ from a broader perspective. Goffman stated that experiences of individuals or groups are structured by the use of frames (Goffman, 1986). In this sense, a frame constitutes reality and can be seen as structured schemata of interpretation which help to describe, identify and perceive events, occurrences and to guide future action. This process includes filtering important information by inclusion or exclusion. A frame constitutes the way individuals or groups see things and do not see things. Human beings do not consciously create these frames but unconsciously adopt and adapt them in respective situations. Depending on the frame, a situation gets a specific meaning. Here is the link to the disaster definition: colloquially, people often use the expression ‘disaster’ to describe how they perceived a certain event. For example: ‘The theater performance was a total disaster!’ But the question is: how did these people experience the event? A family that went to the theater since a family member played there for the first time, might came up with a completely different conclusion. The same applies to a technical team that was responsible for the technical facilities and probably did not recognize the actor’s performance, or a group of theater experts that focused mainly on dramaturgical aspects. They all participated at the same theater performance but perceived the event in various ways by unconsciously seeing it through their frame and excluding other things. Depending on the frame through which members of an organization experience a certain situation, they constitute their reality. In this sense, they either will perceive and name a situation as a disaster or not. From that point of view, it seems that the current scientists only have a specific picture of disasters. One that the majority of the society can share or in other words: where they use the same frame to look on these incidents. However, organization’s life and history may differ from organization to organization. It seems quite impossible that they are always looking on incidents through the same frame. An unexpected revenue decline of a company with calamitous consequences, an insolvency or the closing of a business, these all can be potential examples of disasters depending on the organizations perception. Berthold Huber, the former head of the VW supervisory board, entitled the VW emission affair a ‘moral and policy disaster’ (Ruddick and Farrell, 2015). According to his statement, one can assume that at least the supervisory board he represents experienced the situation as a disaster. How VW or to be more specific the supervisory board learns from this crisis could be an interesting case to analyze in order to better understand impacts on organizational learning. An example that is not immediately visible at first glance is Apple’s ‘Siri’ launch. In a recent interview with the former employee, R. Williams, who was responsible for Siri, he denominated Siri after go-live in 2010 as a disaster because of its slow performance and various bugs (Stangel, 2018). Looking at the launch of Siri from an Apple user’s perspective or comparing it to the scientific definitions of disaster, one probably would not consider the unsuccessful launch as a disaster. From an outside perspective, it is indistinguishable if the occasion has led to a breakdown of a specific unit within the organization. Necessarily, one needs to analyze if the launch has had an impact on the historical development, beliefs or resulted in evoking new meanings, interests and attention. But R. Williams, as a former employee of Apple, experienced the situation as a disaster by seeing the Siri launch through his frame. Then why should not a perceived situation like this be worth to get analyzed in order to gain more knowledge about organizational learning? This lack of wide-ranging research objects implies that there is a latent potential for improving knowledge on organizational learning. Business examples like the VW emission affair or the Siri launch pass unheeded in the scientific literature until now. Although, in an organization’s life members perceive certain situations as disasters that also approach the scientific definitions of critical events worthy to research. On the other hand, surely there are examples corresponding with the definitions whereas the organizations do not experience and denominate them as disasters. As long as the science only focuses on these famous disasters, they will do research on the fringe. This narrative calls for a reconstruction of the current scientific perspective on ‘disasters’. By acknowledging, that an organization uses frames in seeing and making sense of certain situations, allows us to understand that a disaster only becomes a disaster as soon as an organization turns it into one. Goffman’s Framing approach encourages to widen the scholars current narrow way of looking on disasters. It expands the scope of research and for this reason opens up possibilities to gain new knowledge on organizational learning effects. Adaba, A. (2002) Disasters and Emergencies. www.who.int: WHO/EHA [Accessed 21.04.2018 2018]. Corbacioglu, S. & Kapucu, N. (2006) ‘Organisational Learning and Selfadaptation in Dynamic Disaster Environments’, Disasters, 30, pp. 212-233. Etymonline.com (2018) Disaster [Online]. www.etymonline.com: Douglas Harper. Available: https://www.etymonline.com/word/disaster [Accessed 21.04.2018]. Goffman, E. (1986) Frame Analysis: An Essay on the Organization of Experience, Boston, Northeastern University Press. Kayes, D. C. (2004) The 1996 Mount Everest climbing disaster: The breakdown of learning in teams, Human Relations, 57, pp. 1263-1284. Madsen, P. M. (2009) These Lives Will Not Be Lost in Vain: Organizational Learning from Disaster in U.S. Coal Mining, Organization Science, 20, pp. 861-875. March, J. G., Sproull, L. S. & Tamuz, M. (2003) Learning from samples of one or fewer, Quality and Safety in Health Care, 12, pp. 465-471. Ruddick, G. & Farrell, S. (2015) VW scandal: staff suspended as car giant appoints new CEO [Online]. www.theguardian.com: Guardian News and Media Limited. Available: https://www.theguardian.com/business/2015/sep/25/volkswagen-appoints-matthias-muller-chief-executive-porsche-vw [Accessed 23.04.2018 2018]. Rudolph, J. W. & Repenning, N. P. (2002) Disaster Dynamics: Understanding the Role of Quantity in Organizational Collapse, Administrative Science Quarterly, 47, pp. 1-30. Stangel, L. (2018) Former apple exec:’After launch, Siri was a disaster’ [Online]. www.bizjournals.com: American Business Journals. 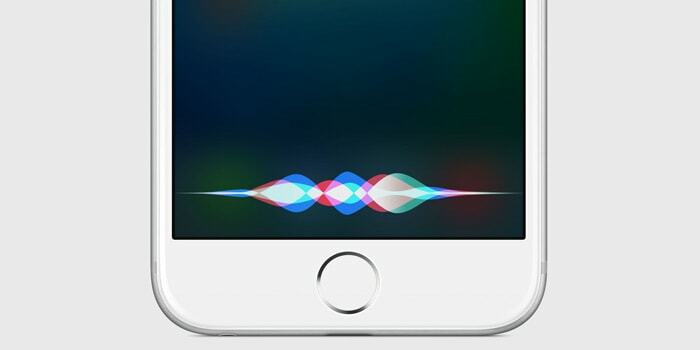 Available: https://www.bizjournals.com/sanjose/news/2018/03/15/apple-siri-launch-richard-williamson-dag-kittlaus.html [Accessed 22.04.2018 2018]. Vaughan, D. (2004) Theorizing Disaster: Analogy, historical ethnography, and the Challenger accident, Ethnography, 5, pp. 315-347.